Tesco Bank is currently offering money off foreign currencies. Until 17th April everyone will get £5 off every £500 exchanged at Tesco Travel Money bureaus. Unfortunately this will not earn any Tesco Clubcard points. Even with a £5 discount, Tesco Bank will probably not be the cheapest option for your travel money. It is convenient if you are in-store anyway though, which is definitely worth factoring in. 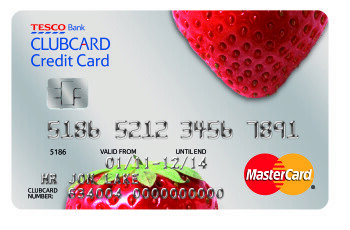 If you have a Tesco Clubcard credit card you can get up to 56 days interest free credit on top of saving money. When you buy travel money in a Tesco store using your Tesco Clubcard credit card, it is treated as a purchase. You will NOT earn any Clubcard points from the credit card spending, however, even though it is treated as a purchase. This has been tested by SP readers on various occasions. The only restriction is that the amount of foreign currency you can buy is limited to the ‘cash advance’ limit on your card, which is usually printed on your statement. The signup page for the Tesco Clubcard credit card is here if you are thinking about getting one. I have often used this method for travel money. I also find that if you do it online the rates are better ( depending on how much you wish to convert) so this can often out weigh the £5 offer in store, your money can be there the next day for collection. I have a Tesco Premium master card and =even with its 1pct discount and the 1pct on £500 here its still poor ! I always use Revolut. Fast and great rates.